Editor's note: This is part 1 of a two-part series. Stay tuned for part 2 and hear from more celebrated dancers who are curating performances. Dancers curating dance programs isn’t new. But the recent frequency and visibility of high-profile dance artists creating full programs appears to be on the rise. Whether for charitable causes, festivals or for their own independent touring productions, high-profile dancers and choreographers are capitalizing on their celebrity by curating and producing their own programming. Among those who have crossed over into artistic curation: National Ballet of Canada principal dancer Sonia Rodriguez (A Ballerina’s Legacy); American Ballet Theatre principal Daniil Simkin (Intensio); and New York City Ballet principals Daniel Ulbricht (Stars of American Ballet) and Ashley Bouder (Ashley Bouder Project). And knowing a good thing when they see one, more dance presenting organizations have signed on by hiring “name-brand” dancers and choreographers to curate programming for them, including Misty Copeland. “Having artists at the center of the conversation gives an inside view and [adds] excitement that non-artists don’t necessarily possess,” said Meg Booth, director of dance programming at The Kennedy Center in Washington, D.C., which in 2017 invited ABT principal Misty Copeland and NYCB choreographer Justin Peck to curate two programs in the Opera House. More than just a celebrity endorsement, guest curators are integral in creating and managing those projects from start to finish. That can mean choosing program themes, dance and music artists, repertory, and program order. In the case of The Kennedy Center’s popular Ballet Across America series, Booth said selecting Peck and Copeland as curators came about because of “balance and opportunity.” Balance, in that Booth wanted a male and a female voice as well as a dancer’s and choreographer’s voice. Opportunity, in that the center has had a longstanding relationship with both companies, as well as with Copeland and Peck. In keeping with The Kennedy Center’s new strategic plan that calls for putting artists at the center of the conversation, Booth said the Ballet Across America series was the perfect opportunity to implement that initiative and to invite artists to curate. The result: two programs demonstrating what the Copeland and Peck saw as most exciting in dance today. Tiler Peck’s desire to blend ballet with other genres to highlight the versatility of today’s ballet dancers while engaging audiences with new forms of dance was the reason she was selected, according to Moore. And her ties to the Los Angeles area also helped. “We felt that this forward-looking approach would be refreshing and would be welcomed by Southern California audiences,” said Moore. Presenters interviewed all noted that having well-known dance artists curate dance programs provided a means of injecting new blood, fresh ideas, and excitement into their seasons. But they all noted that these largely inexperienced curators did not receive carte blanche in the process. Both Justin Peck and Copeland were new to curating a major program like Ballet Across America. Booth described many conversations and emails between all parties that helped guide them in the process. These communications focused on items such as what theme, their singular goals for their programs, and what The Kennedy Center was able to accomplish during the performance week. “When you start bringing in that many companies in one place at one time, the logistical demands on the technical staff and on the companies that are coming and going is a pretty significant undertaking,” explained Booth. And while Booth, Peck, and Copeland worked together on identifying the artists for the two Ballet Across America programs, The Kennedy Center handled all the booking, travel, lodging, and logistical arrangements. What are presenters seeking in hiring high-profile dancers as curators? Must those dancer/curators be squarely in the public eye? To read more on dance artists and curation, including comments from Isabelle Boylston and James Sofranko, and advice on what presenters and dance artists should think about, come back for part two. A former dancer turned arts writer and critic living in Ohio, Steve Sucato studied ballet and modern dance with Arline Ashton Hay, Robert Steele, Patricia Heigel-Tanner, and Kathy Short Gracenin. During his dance career he performed numerous classical and contemporary roles sharing the stage with noted dancers Robert LaFosse, Antonia Franceschi, Stacy Caddell, Joseph Duell, Robert Wallace, Sandra Brown and Mikhail Baryshnikov. 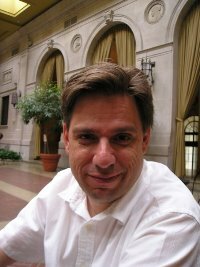 Sucato has a degree in communications from The Pennsylvania State University and is chairman emeritus of the Dance Critics Association, an international association of dance journalists. His writing credits include articles and reviews on dance and the arts for The Plain Dealer (Cleveland), The Buffalo News (Buffalo), Pittsburgh City Paper (Pittsburgh), Erie Times-News (Erie), ArtVoice (Buffalo) and Dance Magazine, Pointe, Dance International, Dance Studio Life, Dance Teacher, among others. On the web you can find his writing in ExploreDance.com, DanceTabs, BalletCo, and Ballet-Dance Magazine. Steve is also associate editor of ExploreDance and the creator of the arts blog Arts Air. Photo 2: L.A. Dance Project in Benjamin Millepied's Hearts & Arrows in Ballet Across America. Photo by Teresa Wood. Photo 3: Joseph Wiggan and Josette Wiggan-Freund in Harmony: Tap in Motion in TIRELESS: A Tap Dance Experience at Jacob's Pillow. Photo by Christopher Duggan. 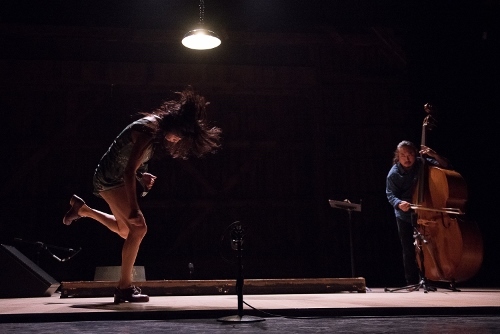 Photo 4: Reona Seo and Takashi Seo in AUN in TIRELESS: A Dance Experience at Jacob's Pillow Photo Christopher Duggan. Photo 5: Tiler Peck performs 1-2-3-4-5-6 with Michelle Dorance, Virgil "Lil O" Gadson and Byron Tittle as part of The Music Center's BalletNOW. Photo courtesy of The Music Center. Photo 6: Photo courtesy of the author.